7C MATH - Students reviewed how to finding missing values in proportions. We focused on using cross multiplication for ratios involving two values, and we used ratios (lined up vertically) for ratios using three values or more. 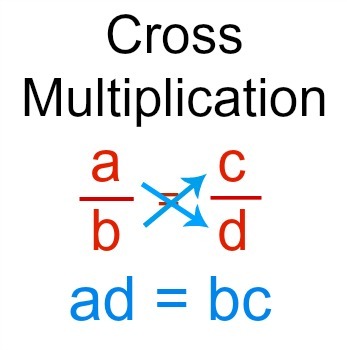 7A MATH - Many students still needed to practice/review the order of operations (BEDMAS). Students had multiple entry levels of difficulty to challenge them. 7B MATH - Students reviewed how to finding missing values in proportions. We focused on using cross multiplication for ratios involving two values, and we used ratios (lined up vertically) for ratios using three values or more. * Students went on a field trip to see a performance at the Algoma Fall Festival. 7C SCIENCE - Students started working on Ecosystems posters to demonstrate understanding of biotic and abiotic factors in the environment and how they interact. 7B MATH - We worked on converting between fractions, ratios, decimals, and percents in class today. Students worked with partners to figure our percent problems. 7A MATH - We worked on converting between fractions, ratios, decimals, and percents in class today. Students worked with partners to figure our percent problems. 7C SCIENCE - Students continued working on their Ecosystems posters. We reviewed the connections between living things. 7B MATH - Students worked on review sheets together with partners. The questions focused on finding missing percents, totals, or parts of a whole. 7C MATH - Students worked on review sheets together with partners. The questions focused on finding missing percents, totals, or parts of a whole. 7A MATH - Students worked on review sheets together with partners. The questions focused on finding missing percents, totals, or parts of a whole.